With an estimated 190 million residents, Nigeria is the largest country in Africa. A remarkable 60% of Nigerians are school-aged, creating one of the largest student bodies in the world. With internet access in Nigeria quickly growing, local Wikimedians are working together to raise awareness for the platform and how Nigeria’s many students can both use and improve Wikipedia. Olushola Olaniyan is the acting President of Wikimedia User Group Nigeria. In 2017, he and the user group boldly created student clubs for Wikipedia readers in Nigerian universities and created weekly radio programs to explain Wikipedia over national airwaves. The user group also partnered with the Wikimedia Foundation to produce video ads explaining Wikipedia. These ads were produced in Nigeria by Nigerian filmmakers for Nigerian audiences. Olushola joined 4 fellow volunteers and the Foundation in creatively directing the videos. 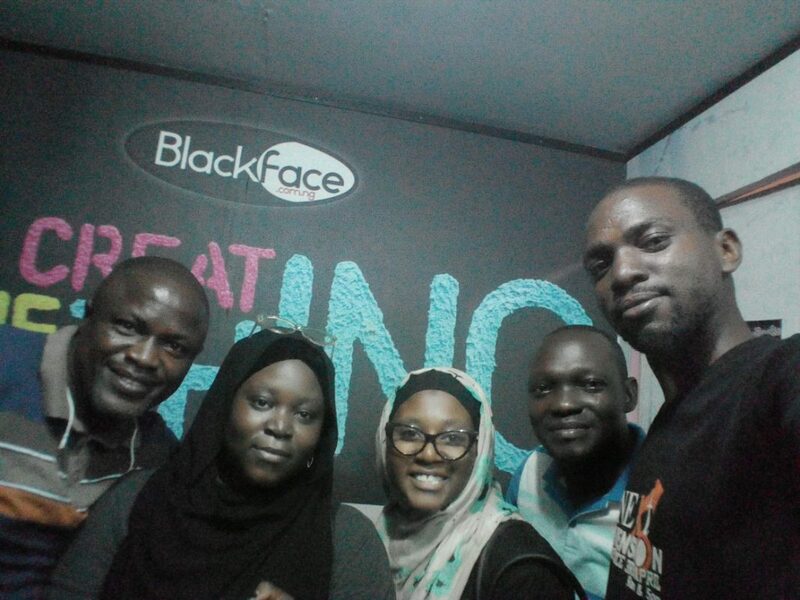 This “community marketing team” included Sam Oyeyele, Blossom Ozurumba, Kayode Yussuf, and Eyitayo Alimi. With the video ads launching in Lagos this September, we wanted to share a short Q&A with the Nigerians raising awareness for Wikipedia. Just 27% of internet users in Nigeria say they have heard of Wikipedia. Why is awareness so low? Blossom: The chief reasons range from lack of access to internet to the non-affordability of internet data in Nigeria. Kayode: Wikipedia is known majorly within academic environments and even at that, its usage is not encouraged because the lecturers claim information from Wikipedia is not reliable. This serves as a discouragement even within Wikipedia fans (students). I also believe that the slow adaptation of Wikipedia mobile can also take a blame. Mobile telephony grew very fast in Nigeria and it was easier and cheaper to connect to the internet via mobile phones than with computers. So people usually used apps on mobile phones. I think Wikipedia got its mobile app quite late and this added to the low awareness. 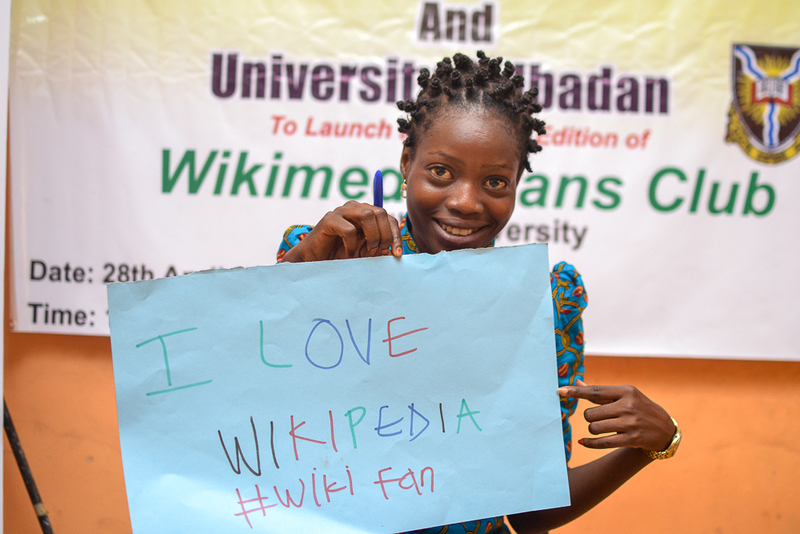 What are Wikimedians in Nigeria doing to increase awareness of Wikipedia and promote usage? Eyitayo: We are bootstrapping! Doing a whole lot. Organizing meetup events—at least once in a month, sometimes twice—working on partnership deals with media agencies both digital and print, ensuring we get spaces for events, inviting people for training, and following up to ensure they are retained within the community. Blossom: There is a great work emanating at the south-west region of Nigeria especially Lagos with great leadership shown by the Wikimedia User-group Director Olushola Olaniyan in schools and radio campaigns. In the northern region, there is an unstructured community championing Igbo Language Wikipedia Awareness. Tell us about the video ads you have directed. What do they show about Nigeria? What did you want to communicate about Wikipedia for Nigerians? Olushola: The video ads shows a blend of characters between the old and young generations in Nigeria. It reflects our cultures, it shows that Nigerians are eager to learn new things, it shows that knowledge is not restricted by age. Sam: We wanted the video ad to shape the Wikipedia brand in Nigeria, and to actively push the brand to the Nigerian audience. Blossom: The essence of the video ads is to reinforce Wikipedia awareness in the minds of Nigerians that are already aware of the platform and also subtly create new awareness in the minds of the unaware via pop culture shapers like Mark Angel Comedy’s star, Emmanuella and the ever-green Pete Edochie. Kayode: I think the videos show a cultural and fun part of Nigeria: they show that we are educated, knowledgeable and fun loving. I also wanted to rewrite what Wikipedia is in the minds of Nigeria. Wikipedia is a free encyclopedia, written collaboratively by the people who use it. 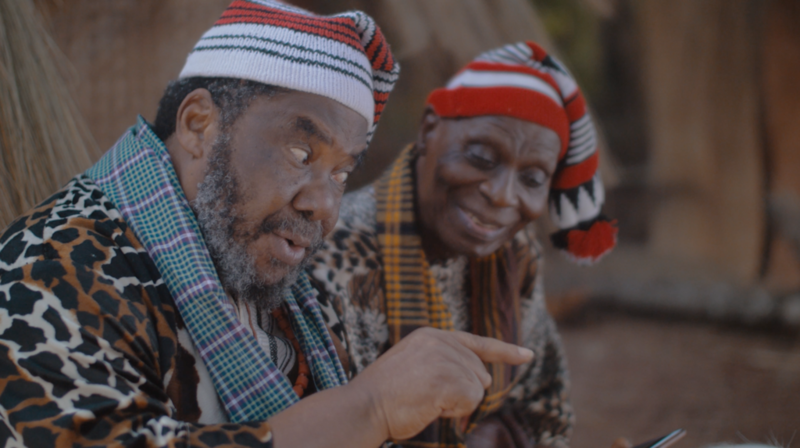 What will Nigerian audiences understand about these videos that international audiences might miss? Sam: The comedy! It’s no news that comedy is usually culture specific, so I think the international audience might miss the comedic content in the videos: the mannerisms, the facial expressions, the slang, etc. Exceptions will be those familiar with Nigerian entertainment, such as other West Africans and Africans at large. Olushola: The actors! Peter Edochie (popularly called Okonkwo) is a Nigerian award-winning actor, considered one of the most talented actors in Africa. He came to the limelight after featuring in Things Fall Apart, an adaptation from Chinua Achebe‘s book. He is very popular among the older generation of Nigerians. Emmanuella of Mark Angel Comedy, is a young Nigerian comedian who was introduced to movie industry by her uncle. Her comedy is very popular among the younger class. For the second video, every Nigerian can see themselves in Emmanuella and Mark Angel. These are young self-made comedians who make fun out of our everyday activities. Their message usually is to show the fun side of life. They have grown to become the most subscribed channel on YouTube in Africa and they proved their worth in the ad. What’s next for Wikimedians in Nigeria? Eyitayo: I look forward to commencing my ‘women who wiki’ project soon. As a major player in the female tech space in Nigeria, this project will enable me bring more women into the user group community—especially in Lagos. It will also help keep up with organizing the user groups, especially getting meetup venues as that poses a major challenge to our monthly meetups. Sam: I’ll be leading the Wiki Loves Africa contest in Nigeria, which will commence in October. That’s currently what I’m looking forward to. This year’s contest will be focusing on professions in Africa. Help us unlock the world’s knowledge. As a nonprofit, Wikipedia and our related free knowledge projects are powered primarily through donations. Subscribe to news about ongoing projects and initiatives. Questions about the Wikimedia Foundation or our projects? Get in touch with our team. The Wikimedia Foundation is the nonprofit organization that supports Wikipedia, the other Wikimedia free knowledge projects, and our mission of free knowledge for every single person. Except where otherwise noted, the content of this site is licensed under a Creative Commons Attribution-ShareAlike 3.0 Unported license. Powered by WordPress.com VIP. Automattic Privacy Notice.